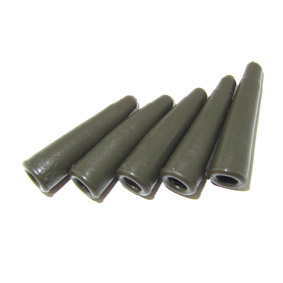 Standard "off the shelf" rubbers made in a Far Eastern country. Compared to British tail rubbers you'll find these rubbers are made from a stiffer, less flexible rubber (not a compound) and as such not comparable when it comes to quality and durability. Tapered design and smooth finish helps to reduce tangles by removing edges that hooklinks snag on.